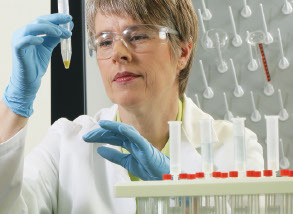 Thermo Scientific™ biological safety cabinets (BSCs) use less energy while reducing costs, and are easy to use, clean, fumigate, and decontaminate. The ergonomically designed cabinets feature dual-DC motors that help to automatically balance the cabinet inflow and downflow air velocities in real time. We offer the certified performance and protection that stays with you every day. Class II BSCs validated to EN12469 by TUV and LNE are commonly used worldwide and particularly in Europe. They offer superior protection for most life science and cell culture applications at minimal operational costs through ergonomic and sustainable design. Horizontal flow clean benches are used worldwide to provide product or sample protection for applications that do not require personal or environmental protection. These clean benches provide product protection through the use of controlled laminar airflow and filtration at minimal operational costs.